Posted On : 12 August 2018 | Author : Data Plus Value Team | Tag : Data Cleansing and Enrichment Companies, Data Cleaning Process, Data Cleansing Solutions, Data Quality Management, Database Cleansing Services, Customer Data Cleansing, Data Scrubbing Services, Data Support cleanser. Email marketing has been employed by businesses since the start of the Internet and the development of email service providers. The marketing method is an effective and cost friendly way for businesses to be in direct touch with their customers to update them with news of new products and other developments. It is a highly relevant means of marketing as more than 94% of Internet users access their emails and it has been predicted that by 2020 email will be used by nearly 3 billion people. Businesses should utilize proper data cleansing and data append aging processes so that they have accurate and current customer information. Incorrect customer information in the form of wrong email addresses will result in emails bouncing back which in turn costs the business money. Data cleansing involves locating duplicated, incorrect and inaccurate data and then modifying, removing or replacing it. On the other hand, data appending involves adding new information such as behavioural, lifestyle demographics and contact information to existing customer information records. Improving conversion rates- email marketing drives customer retention and acquisition and it has higher conversion rates than both search engine and social media put together. Driving more customers to their website- According to research more than 60% of the customers like to receive promotional emails from companies about latest information. What does Data Cleansing and Data Appending Involve and what their benefits are? Data Appending is the process of identifying and compiling data, enhancing and reformatting this data, verifying this formatted data with existing data and finally creating new databases. Data cleansing processes involve setting up a data cleansing process, prioritizing data entry fields, pioneering nee data rules and workflow and regular review and updating of processes. 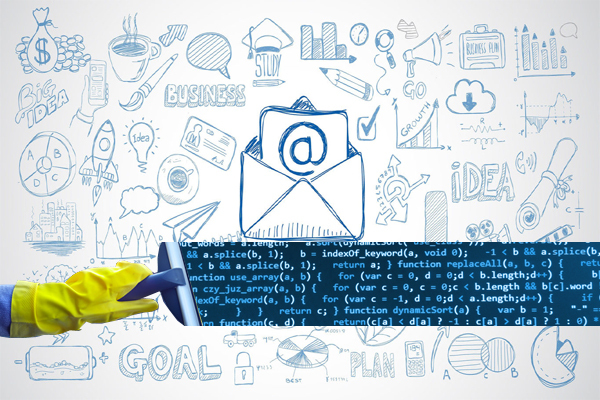 The email marketing ROI improves considerably with updates customer information. Better understanding of customers with better locational, demographic and lifestyle information. Increase in response rates as customer's choice and preferences are directly targeted. Enhanced social media engagements by linking email marketing with social media advertising. Make sure that the business has reliable contact details. Increase in revenue by sending targeted emails during product launches and updates. Is Outsourcing data cleansing and data appending service a good idea? It has been seen that 80% of well to do organisations outsource all or part of their data quality improvement requirements and outsource data cleaning services to companies provide data cleaning services. Establishing an in house team to effectively manage data cleansing and appending services can be cumbersome and expensive. The staff must be trained efficiently, and improper management may lead to inaccuracy and efforts in these requirements of your business. Time, in-house resources and money can be saved by the organisation if it chooses to outsource its data cleansing work to a certified, reputable outsource agency. A well-known DAT in India will do a commendable job of data cleansing and appending leaving no room for complaints.